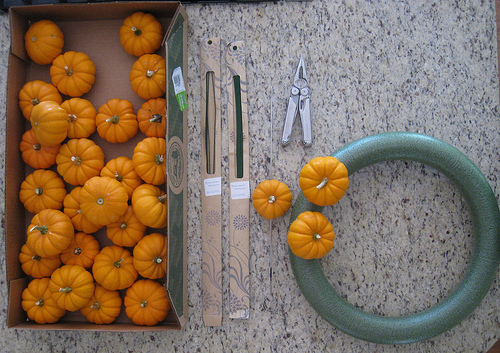 My step-by-step guide on how to create a pumpkin wreath. Happy Monday you guys! You've probably already noticed by now the new look of the blog. What do you guys think?? It was a long time coming, and I am so happy with how it turned out! I was planning on switching this whole blog over to Wordpress since apparently it's a better platform and more customizable, but honestly I didn't have time or money to do that/hire someone. So I found a free blogger template and was able to flex my html coding fingers (it's been 3 years since I did some coding!) by tweaking a few things here and there. One of these days I'll actually hire someone and do a complete redesign and rebranding, but for now I'm really happy with how it turned out. Hope you guys like it too! As for a weekend recap, we pretty much stayed indoors because of all the rain we got. But it was for the better because I was able to hunker down and get some planning done for Vivi's 100th Day Celebration. Do you guys remember Cora's Kate Spade themed 100th Day party? I honestly can't believe 3 years have gone by and we have another little girl to celebrate! This time around, I'm keeping it simple and taking advantage of the fact that it's Fall and having a Fall-themed 100th Day party. Scroll all the way down to see my inspiration pic for it. While we're going down memory lane, I wanted to share with you guys that amazing pumpkin wreath I made a few years ago. With all things Halloween and Fall on my mind, I just wanted to bring it back in case anyone was in need of some help decorating their front door. As for our front door, I'm thinking of doing something a little less traditional and doing something fun for Cora and her neighborhood buddies. 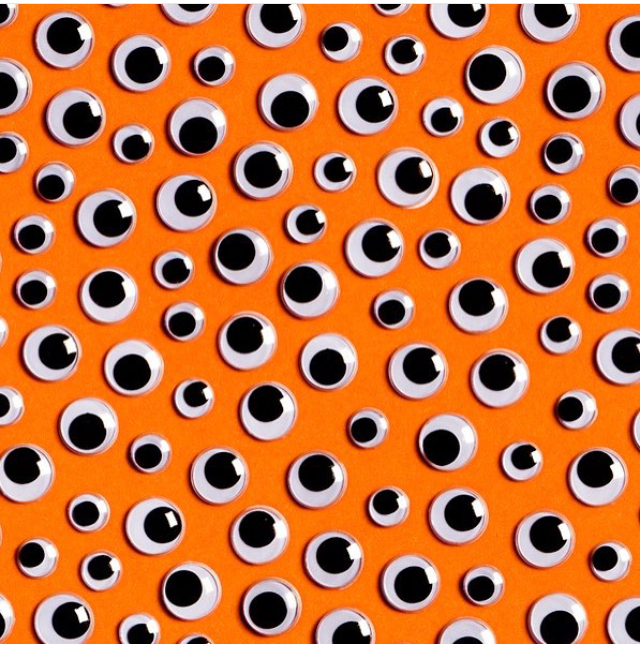 I found this image on Instagram (above image) and just think how fun it would be to recreate those plastic googly eyes with laminated paper and have them all over the front door. We'll see how it goes, but I'm kind of excited about doing this for Cora. 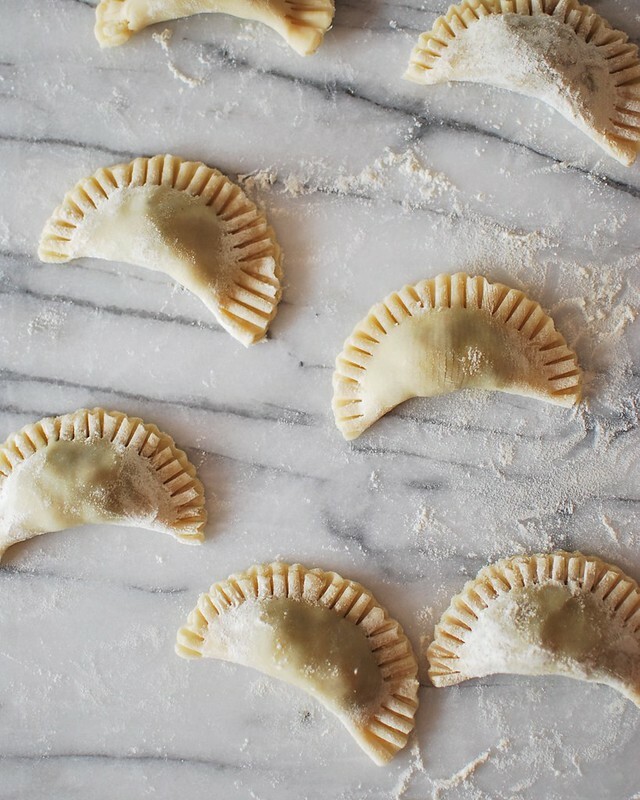 Got some baking in by making some easy apple hand pies. I'll be sharing more pics and the recipe later this week! HOME UPDATE: Steve's office currently, but we're going to be making some major moves in here. It's getting repainted (color TBD), the settee and ottoman are about to get sold sometime tonight if the buyer comes through. That dresser is going to get moved up to Cora's room, we just didn't have any room in the garage and we're just lazy. 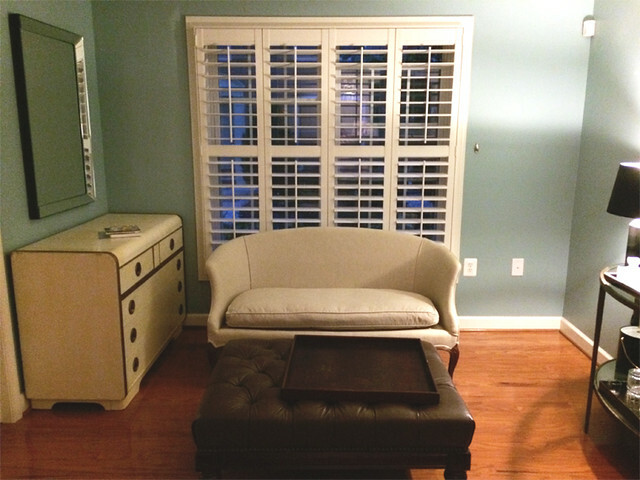 This Paidge chaise sectional is one of the options that we're thinking about for Steve's office. And the Hamilton is the other one. Which one do you guys prefer? This is my inspiration for Vivi's 100th Day Celebration. What do you guys think?